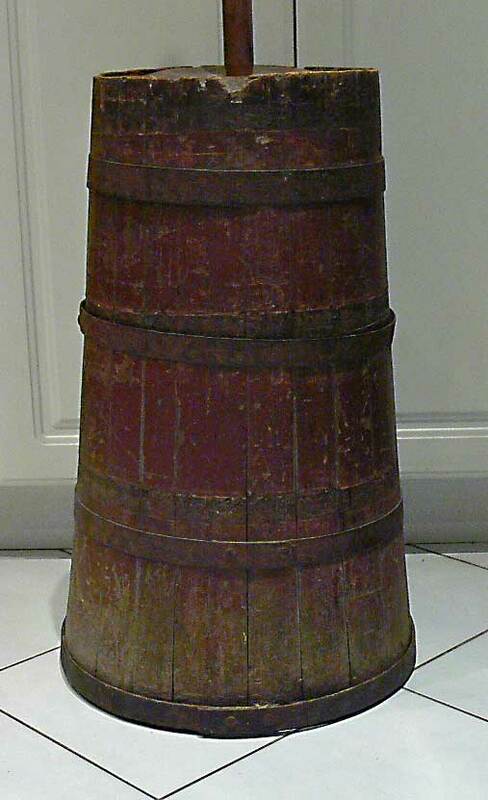 A wooden barrel-type dasher butter churn with tapered sides secured by 4 iron bands. 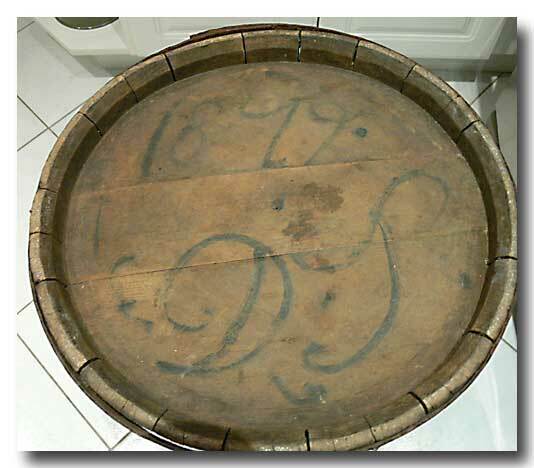 Round wooden lid with sloping sides and depression at center. 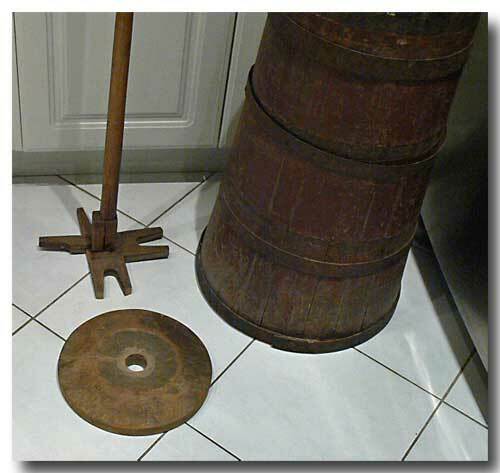 Long dasher pole reduces in diameter below lid and is fitted with boot jack type agitator blades. All original including original dark red paint on body & brown on lid. Signed on underside D S or D T and dated 1879. There is an early repair to the agitator blades and one-half tongue is missing (see picture). Found in Melville, Prince Edward County, Ontario. Early family: Endicott. I’m told the initials refer to the maker, a cooper who lived & worked in or near Bath, Ontario. About 24.5 inches to top edge of barrel. 15 inches diameter across the base.